BANGALORE: Mid-sized IT companies mostly outperformed their larger peers in the last two years. But more recently, the pace of revenue growth has slowed, many are growing slower than the bigger companies, and this phase is expected to continue for a while. Persistent Systems, Hexaware and KPIT Cummins all were star performers in several quarters, but in the December quarter, their growth rates were sharply down, and the performance is expected to be only marginally better in the March quarter. Mahindra Satyam too had relatively good sequential growth up to the second quarter of this year, but the third quarter was near flat, and it is not expected to be much better in the fourth quarter. Ankita Somani, IT analyst with brokerage firm Angel Broking, said the large firms were getting aggressive, especially with deals over $50 million. 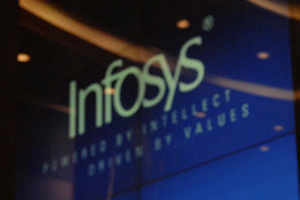 Infosys and Wipro, which were the relative laggards, have sharply increased their sales expenditures. This is seen to be impacting the relative growth rates of the big and midsized firms. The mid-sized players previously benefited from their strong domain knowledge in specific verticals. Many customers engaged with mid-sized companies by breaking larger deals into smaller ones to derive better value propositions. Increased discretionary spending (expenditure on new IT projects ) post the 2008-09 slowdown also helped them grow faster than some of the top-tier IT firms. "But the uncertain macroeconomic environment and lack of large deal signings have resulted in tier-II IT companies growing slower than tier-I vendors," said Ashish Aggarwal of Tata Securities. Hexaware is said to have suffered because a large client cancelled a deal in the second half of the year. Pradeep Udhas, partner and head of IT/ITeS in consulting firm KPMG in India, said mid-sized firms benefited from the breaking down of large deals into smaller ones. "But today, they are facing tough competition from large firms focused on fixed price contracts and non-linear growth that offers better value proposition to their clients. Mid-sized firms don't have the scale to service large contracts. They can be a cog in the wheel and not the whole wheel," he said.